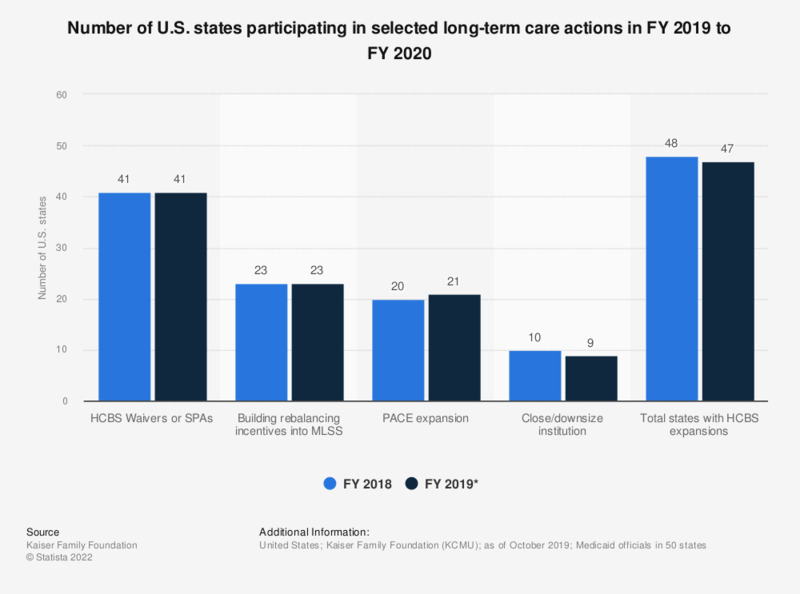 This statistic displays the number of U.S. states participating in selected long-term care actions with the aim to serve more individuals in community settings in fiscal year 2018, and a projection for FY 2019. In fiscal year 2018, 10 states closed or downsized institutions as one of their long-term care actions. HCBS = home and community-based services. MLTSS = managed long-term care services and support. PACE = programs of all-Inclusive care for the elderly. SPAs = SPA - state plan amendments. Do you think if the healthcare bill is passed into law it will make things better, make no difference, or make things worse for each of the following?